Kern Media is owned and operated by Dan Kern, a Denver SEO consultant, whose experience in the ever-evolving landscape of search engine optimization (SEO) dates back to 2004. Kern Media helps companies, and even notable agencies’ own clients, with creating more technically-optimized websites, improving site optimization and content marketing efforts, and navigating Google’s algorithm changes. Increasing conversions on a company’s primary online business goals through organic search traffic growth and inbound marketing tactics are the focuses of Kern Media’s SEO consulting services. Review some of Kern Media’s clientele and past experience below. Kern Media assists Seer Interactive with complex technical SEO audits for large clients such as schools and other organizations. Seer is internationally renowned for its SEO prowess and ability to hire the best to help them work with some of the top clients in the industry. Kern Media is a proud partner. A CRM agency offering retail marketing services and financial marketing services focused on improving engagement and revenue throughout customer marketing programs. Specific focuses include loyalty programs, customer data analysis, customer retention and more. Kern Media has helped CCG with a full content audit and also a site migration in order to create a more optimized website. Efforts are expanding in order to improve the content marketing and lead generation efforts in order to help this incredible domain perform to compete as it should in search results. Taxonomy and technical SEO guidance was also provided for Ready2Go Solutions, offering financial marketing solutions for financial institutions in need of content for digital marketing. Bridge Education Group is an educational organization offering TEFL/TESOL certification to those who want to teach English in a foreign language (while living abroad) and those who are already citizens of non-English speaking countries. Their online TEFL certifications and Denver-based classroom training programs are the originals in the industry. Costa Rica Escapes is a Costa Rica vacation agency specializing in family vacations, honeymoons and adventure vacations and other itineraries for travelers who want authentic travel experiences to Costa Rica. Kern Media assists Costa Rica Escapes by putting the focus on content marketing and lead generation through educating prospective travelers on topics commonly searched for, such as the best time to visit Costa Rica, where to go in Costa Rica and other popular queries. Also offering educational trips, Costa Rica Explorations (their sister site) plans student travel programs for high school and middle students. Linford & Company (L&Co) is a Certified Public Accounting Firm located in Denver, Colorado, who provides auditing and assurance services for organizations and companies who need SOC reports, SOC 2 reports, HIPAA audits, Royalty/Licensing audits, and FedRAMP compliance assessments. Kern Media has helped with a site migration and continues to help with site optimization and content marketing planning and guidance. Kern Media assisted Freestone Properties, an Asheville NC Real Estate agency, with a complete SEO Audit and CRO Audit, and continues to assist with website migration/re-design, technical SEO, content optimization and new content strategy. Kern Media assists VOGSY, the only Professional Services Automation (PSA) tool for G Suite, with technical SEO, keyword researched content strategy, and ongoing SEO consulting. VOGSY allows service organizations such as marketing agencies to integrate their entire business into a single platform, leveraging Google’s array of business applications. McAleer Gray is a retained executive search firm based in Denver, CO, who offers professional services to help companies find an ideal match for CEO, CFO and and other positions as part of their executive search services. Kern Media provides ongoing SEO consulting services to McAleer Gray, assisting with both technical and content optimization for increased search engine visibility and B2B lead generation. Kern Media assists the white water rafting trip company, Holiday River Expeditions, who offers white water rafting trips in Utah, Colorado, Idaho, and Arizona (as well as mountain biking trips) with ongoing technical SEO consulting and content optimization (of existing site content) and new content strategy. Kern Media assisted Crown Publishing Group with in-depth SEO Audits, SEO Training for development and editorial staff, ongoing technical SEO consulting, and content marketing research. Dan came to Inflow in 2013 to work with like-minded SEO professionals and help with the evolution (and transformation) of a successful SEO agency into a reputable Inbound Marketing agency. 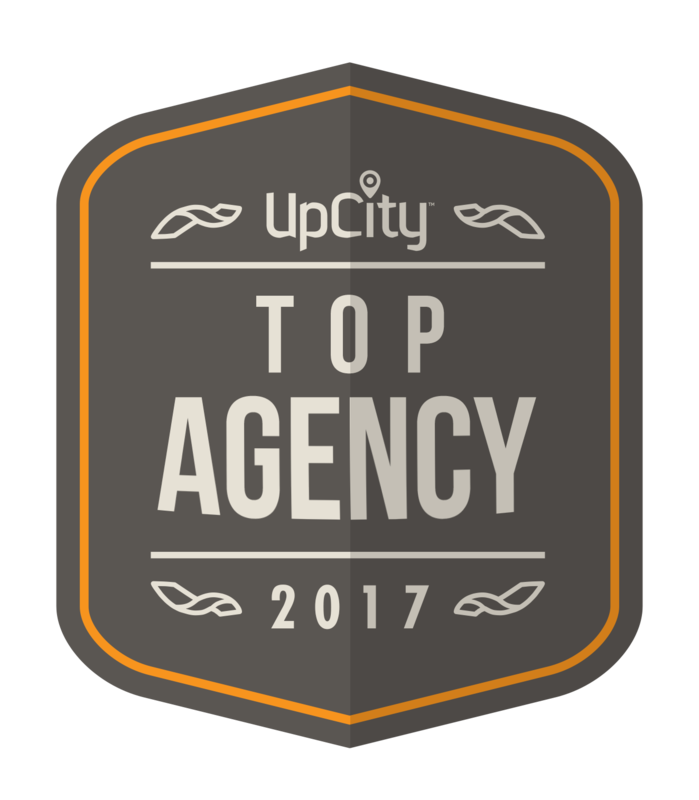 Inflow was Denver’s first agency to be featured on the Moz Recommended Agencies list, and Dan has had the pleasure of working closely (to this present day) with thought leaders like Mike Belasco, Everett Sizemore. Our focus on technical SEO, E-Commerce marketing, content marketing, site migrations and many other aspects of SEO and Inbound Marketing has helped us to achieve great results for niche brands and mid-tier eCommerce sites. Review a case study from this E-Commerce content pruning article on Moz to learn more about the positive impact of advanced SEO techniques. I continue to work with Inflow on select client projects to this day, and I’m very grateful to continue this working relationship. Prior to Inflow, Dan was Director of SEO & Organic Search Marketing for F+W Media, a corporate book and magazine publisher, where he oversaw the SEO for 200 websites and the entire search engine optimization strategy for the company. F+W Media has a tremendous online portfolio, and Dan helped many of the company’s websites achieve incredible organic search traffic growth. By the end of his tenure, the company’s portfolio of @ 200 websites saw an aggregate 8% year-over-year organic search traffic growth. That’s not easy to do, especially during a time when Google’s Panda algorithm was being updated on a monthly basis. Writer’s Digest: Founded in 1920, Writer’s Digest has chronicled the culture of the modern writer and is at the heart of the Writing Community. Dan lead SEO training efforts for the editorial staff and taught editors how to use keyword research to drive content strategy and grow traffic. Dan’s team of SEO Managers (some of whom continue to work with him on Kern Media projects) also optimized hundreds of category pages across the community’s websites, built links to key pages to improve rankings, and optimized product pages to increase search traffic and revenue. View the organic search traffic growth to Writer’s Digest over a two-year period. How Design & Print Magazine – HOW Deisgn (founded in 1985) is the premier magazine for graphic design professionals. Print Magazine (founded in 1940) has a long history of showcasing the extraordinary in design. Dan took a very similar approach to the efforts implemented within the Writing community, however, HOW Design was penalized by Google’s Panda algorithm due to editorial content duplication on subdomains. Through Dan’s consultation, and the hard work of the community, the penalty was lifted in July of 2013 and the website has achieved incredible new growth. See below. Artists Network & North Light Shop – These two sites are home of The Artist’s Magazine, Watercolor Artist & The Pastel Journal. Dan followed suit in the Art Community by training the staff in the art of SEO and leading the optimization efforts for their website, but the big win here was growing eCommerce revenue through increased category and product page optimization that significantly grew organic search traffic. In the summer of 2012, Dan’s team began rewriting and optimizing product page descriptions in order to make the unique (and better) than what the company was syndicating to Amazon, Barnes & Noble and other online vendors. The result was hundreds of more valuable product pages for Google’s index, and the site was rewarded with steady organic search traffic growth that had a significant impact on eCommerce revenue. A website for creating healthier families and mompreneurs using healthy lifestyle improvements, Shaklee products and the Learn about the Shaklee home business opportunity opportunity. Using the Genesis framework & Modern Pro Blogger theme with Yoast WordPress SEO plugin. Authors include Linnie Kern (Cincinnati Shaklee Distributor) and Cortney Kern (Denver Shaklee Distributor). Gated content is produced to drive email acquisition, such as the 50 Uses of Shaklee Basic H downloadable PDF. A boutique guitar gear blog focused on boutique guitar pedals, high-end electric guitars, many unheralded acoustic guitars, boutique amplifiers and other guitar gear. This guitar blog often features interviews with popular luthiers, pedal makers, and guitarists. Revenue is driven via affiliate marketing and paid advertising. Future plans include content (perhaps an eBook) to assist with music marketing for musical equipment manufacturers, bands and other music industry companies and organizations.